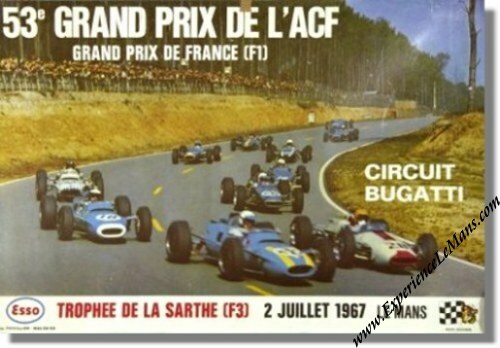 Vintage Original 1967 Grand Prix de France Poster Circuit Bugatti. The race was won by Jack Brabham on Brabham-Repco, ahead of his team mate Denny Hulme. The only Ferrari entered was the one of Chris Amon who dropped out of the race in lap 47 due to throttle problems.